Q: How much to record a document? Each additional page above 30 is $3.00 per page. For any document not mentioned above -$10.00 for the first page and each additional page is $3.00 per page. Q: How much to record a plat or a survey? A: $5.00 for a survey, $11.00 for a subdivision. Q: How many mylars do I need? A: 2 for anything in a subdivision. Q: Do I have to bring the document in? A: No you may mail it. Q: Will I get my document back or a copy? Q: Are there any edge, header, sizing, spacing requirements? A: Only that it be on legal or letter size paper. Q: What are the legal requirements? A: An attorney can answer that question. Q; Where can a get a lien, quitclaim, release form? A: You can try an attorney, the internet or an office supply store. 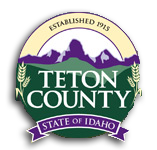 You may want to contact an attorney to confirm the validity of the document for the State of Idaho. Q: Where to I send the document? A: We accept cash, check or money order. Q: Who do I write the check out to?